RUGBY LEAGUE: A dream pre-season became a nightmare for Gympie rugby league ace Carlin Anderson on Saturday after the fullback was stretchered from the field during Round 1 action for the Mackay Cutters in the Intrust Super Cup. Lining up for the North Queensland Cowboys' feeder club as part of his continuing bid to secure the NRL side's Number 1 jersey, the luckless Anderson is now expected to be sidelined for "several months" after suffering a pair of brutal injuries against the Easts Tigers. The 23-year-old suffered a "severe concussion and a break in his back" late in the Cutters' 24-12 loss to the Tigers. Standing in a low position to field a kick, Anderson copped knees to his head and back from multiple Tigers chasers. Both injuries were confirmed by a Cowboys spokesman yesterday morning. "He had a heavy concussion and a fracture to his T6 vertebrae in his spine," the spokesman said. "He's back here now, he's walking around, he came in for a check-up (at the club). "He got out of hospital on Sunday and was home in bed yesterday." The spokesman said it was too early to determine a specific timeline for Anderson's return to the field, but said it would be "several months" before it became a possibility. Cutters coach Steve Sheppard said Anderson would be missed. "When Carlin went down hurt, it disappointed the group a fair bit because it wasn't really pretty," he said. 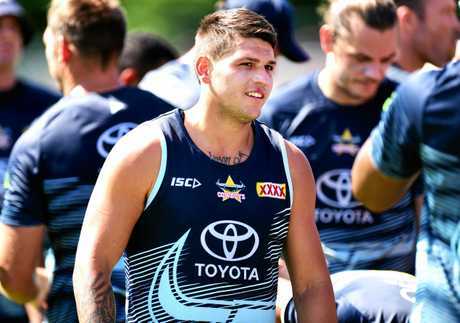 "He was lucky to get on the plane this morning, but he's back in Townsville ... so he'll see the Cowboys staff during the week to get more of an indication of how long he's going to be." 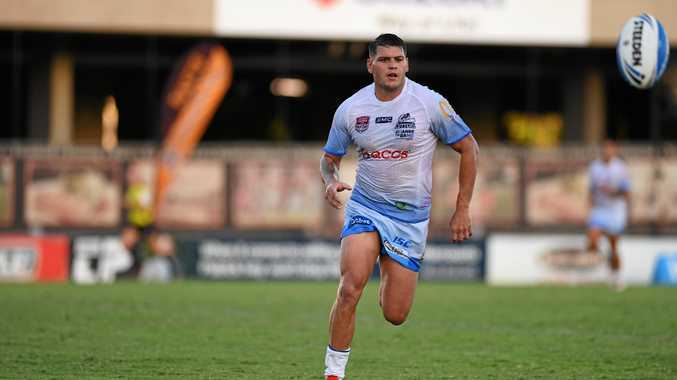 Teammates Pauli Byrnes and Yamba Bowie were expected to contest his spot as they look to their Round 2 clash with the Souths Logan Magpies at BB Print Stadium. Saturday's setback is the latest in a string of disappointments for Anderson. His profile on the Cowboys website states a "serious jaw and facial injury" prevented him from a shot at the NRL in Brisbane Broncos colours in 2016. 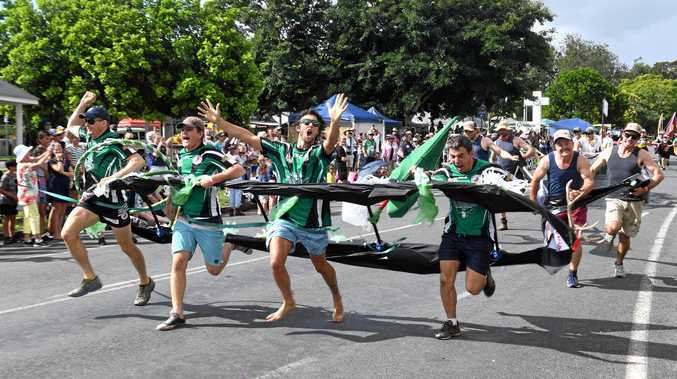 He finished the following Queensland Cup team as the competition's leading point scorer for Cowboys feeder club the Townsville Blackhawks, but a broken arm in their final regular season game meant he missed the finals campaign. A serious hand injury then took 12 weeks from his maiden season with the Cowboys last year after he tore a hand tendon playing for the Blackhawks in Round 5.